We’d like to introduce to you Mrs. Jenette King. 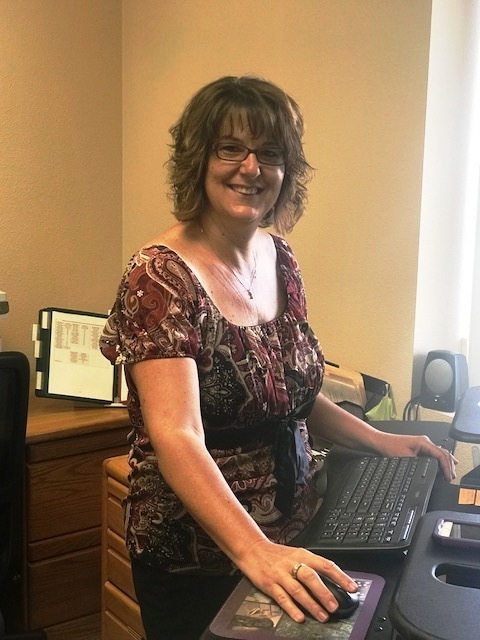 Mrs. King is currently the district’s business manager, but has held a variety of positions throughout the district: She started as a preschool aide at Mohave Valley Elementary School in 1999, and has worked as a special education aide, the health clerk at Fort Mojave, the school secretary at Mohave Valley Jr. High, and served as the district secretary before becoming the business manager in 2015. When asked about her proudest moment, while there were many, Mrs. King is amazed that she started as a parent volunteer when her oldest son began kindergarten, and has worked her way through the system to this point where she’s now in the top classified position in the district. Mrs. King is actually a product of the local school systems, starting her own kindergarten adventure at Mohave Valley Elementary School back when it was the only school in the district, working her way through Mohave Valley Jr. High and graduating from Mohave High School. She has also taken accounting classes at Mohave Community College.